Soft Pancake Production Line is a full automatic soft pancake production line that developed by our company. This line changes the Chinese traditional handmade soft pancake production technique into full automatic technique, and it offers all automatic functions from synchronous injecting, baking, molding, cooling, and conveying to packing. The product of this line has high quality and lovely shape. It is as good as soft waffle. And it is one of the most popular snacks that welcomed all around the world. 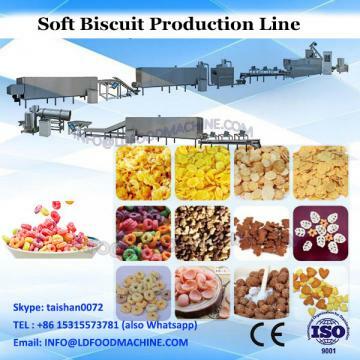 Waffle production line/Soft Pancake Production Line Completed a series of bread and hamburger productions such as continuous tableting, dough sheet finishing, sheet rolling, pattern making, quantitative cutting, stuffing, and forming an automatic swing plate. The whole process of mass production of bread and hamburgers was realized. Waffle production line/Soft Pancake Production Line] uses a number of advanced technologies to integrate photoelectric sensing, electromagnetic induction, human-machine interface, microcomputer programming, new materials, and bionic technologies, with a high degree of automation. Materials used and packaging materials, etc. : All materials in contact with the surface are stainless steel, polypropylene, PU, latex, nylon 1010, etc. that meet food-grade safety requirements. is sealed with stainless steel and polycarbonate plates. Can meet the needs of large-scale industrial production, scale production of a machine can produce drawing bread, hamburgers, French bread and so on.